Our restaurants have been a big hit with customers, and our franchisees have reaped the benefits. Many of our franchise owners have been with us for years – a testament to their experience. Here’s just some of what they love about owning a Foster’s Grille in their neighborhood. "We have a great time when we’re at our restaurants. We’re interacting with customers, being part of the community, and making sure everyone has a great experience. It’s a lot of fun and very hands-on, so it’s a great environment." Scott Mckee and his partners joined the Foster’s Grille family in 2009 after playing hockey with the founder of Foster’s Grille. 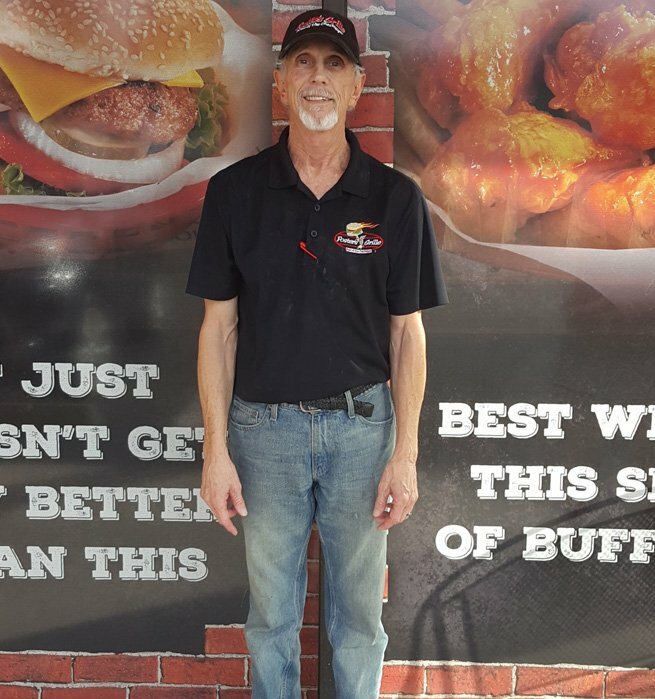 A civilian engineer with the US Navy, Scott had little experience with the restaurant industry when he started and now he owns 2 Foster’s Grille locations. 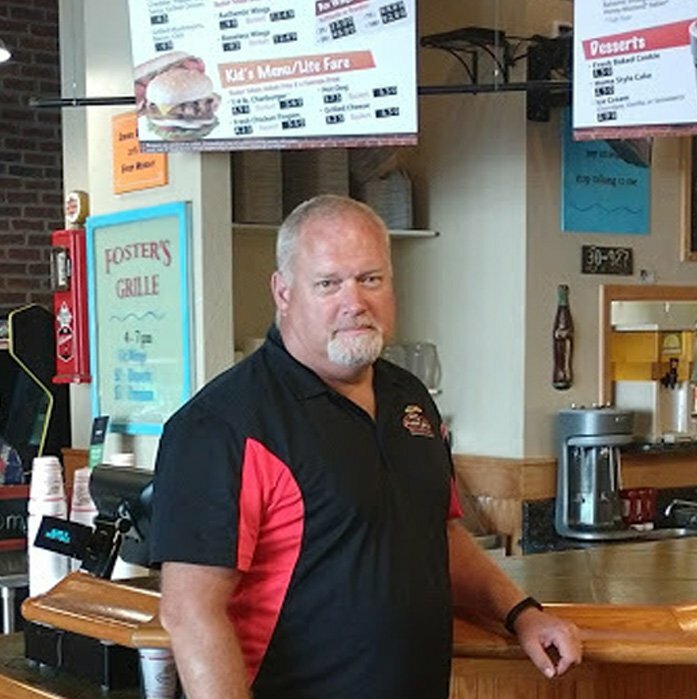 He credits the intensive and hands-on training he received when starting out, and the ongoing support from Foster’s Grille, to his success with the franchise. Since then, Scott and his partners have built 2 profitable locations where customers feel welcome and enjoy the fresh food and friendly atmosphere. "Foster’s Grille has this great neighborhood feel to it. We get to be closely involved with the local community and support the causes we care about. It’s a simple concept that customers love and continue to come back to time and time again." Bruce and Lauren are a husband and wife team who opened their restaurant in 2010. They had been looking for the right franchise opportunity for nearly 20 years before walking into a Foster’s Grille for lunch one day. After experiencing the quality and level of service, they immediately knew that this was the chance they were waiting for. Since then, Bruce has been able to retire from his day job with a large package delivery company, and to travel and see new parts of the world. "Foster’s Grille is different – it stands out from the other fast-casual restaurants out there. I’d recommend new franchise owners open not just one restaurant, but multiple locations. It’s a great business opportunity and a great company to be involved with." Don Kelly became a Foster’s Grille franchise owner in 2012 after working in construction for over 30 years. Having retired a few years earlier, Don was looking for a new opportunity that was established, proven, and different. 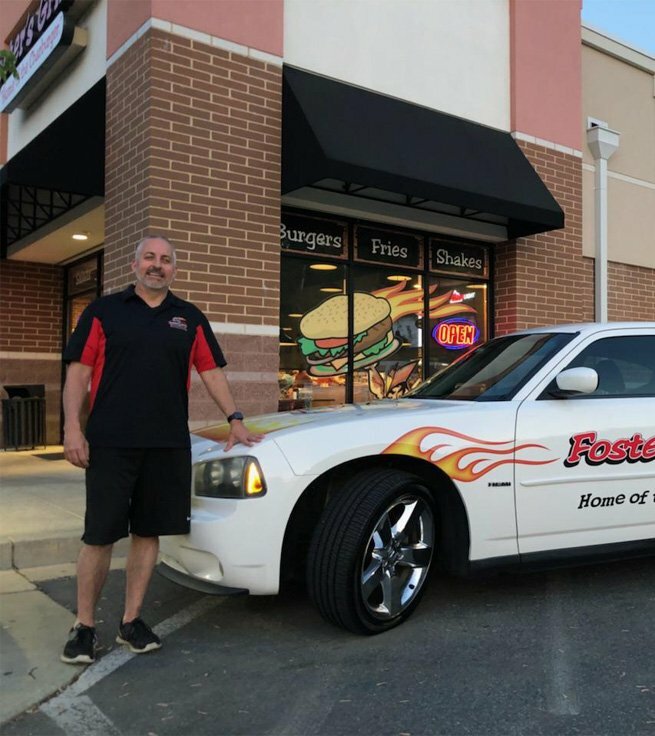 After comparing multiple franchise brands, he settled on Foster’s Grille due to the quality of the food, the success of the existing locations, and the well-defined operations and processes that were in place. Since then, Don has built a profitable location that sees regular customers come in again and again. To find out more about owing a Foster’s Grille restaurant, fill out the information below and a member of our team will be in touch! Note: All information entered into this form will be kept confidential and used only by our franchise department for screening interested parties.